I had a bad week last week. And it had everything to do with breakfast. Skipped breakfast and was hangry until lunchtime. Ate my packed lunch at 9:00 am and was starving by about 1 pm. Grabbed donuts or fast food breakfast on my way to work. So, yeah, not a great start to the day. I hate being hungry and I hate spending money unnecessarily. 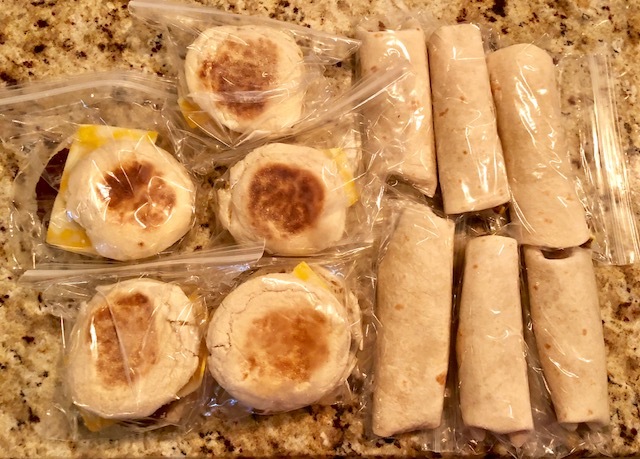 This weekend while I was cooking breakfast, I went ahead and made breakfast freezer meals for the next two weeks. 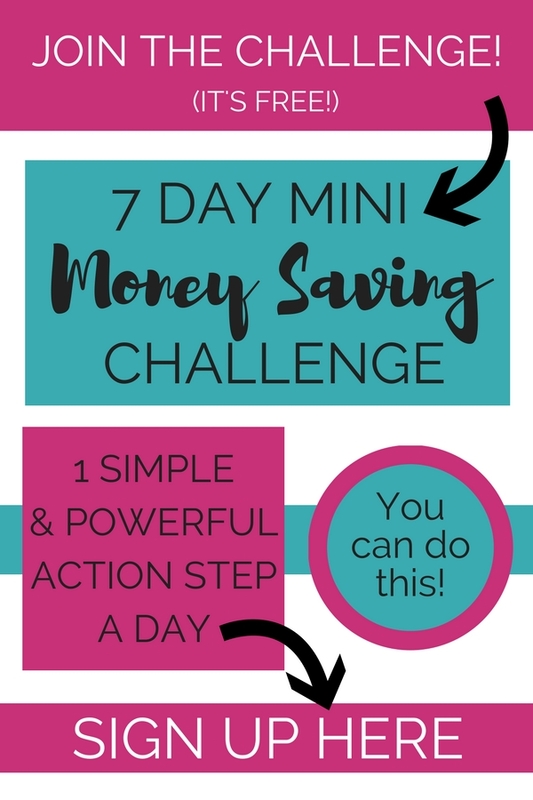 No more hangry and no more wasting money! 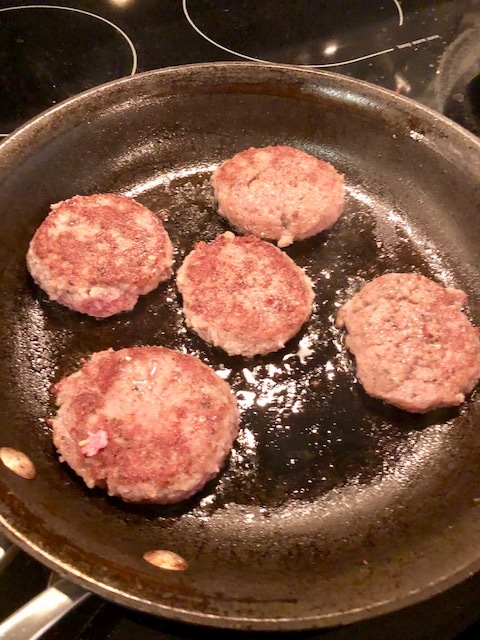 Make 5 (or 6 – if you have a full pack of muffins) sausage patties and brown. Drain grease. 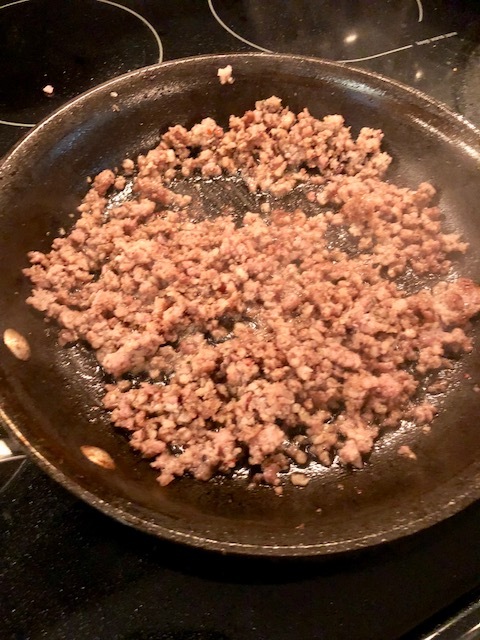 Brown remaining sausage into crumbles. 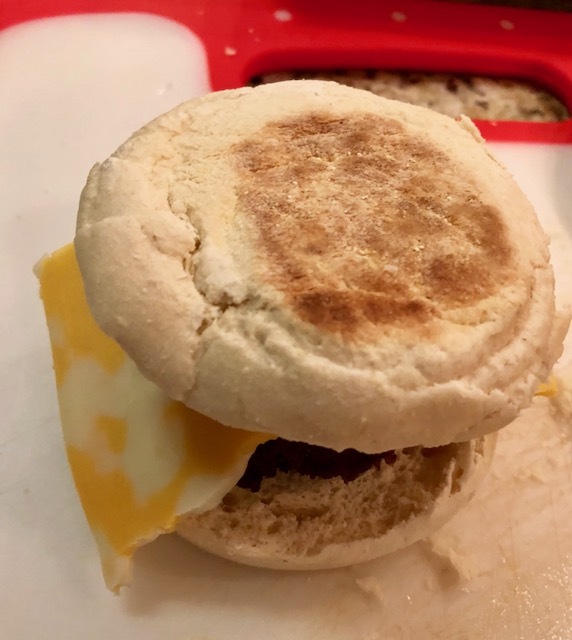 Make your sausage and cheese muffins by slicing the english muffin in half, adding a sausage patty, and then half a slice of cheese. 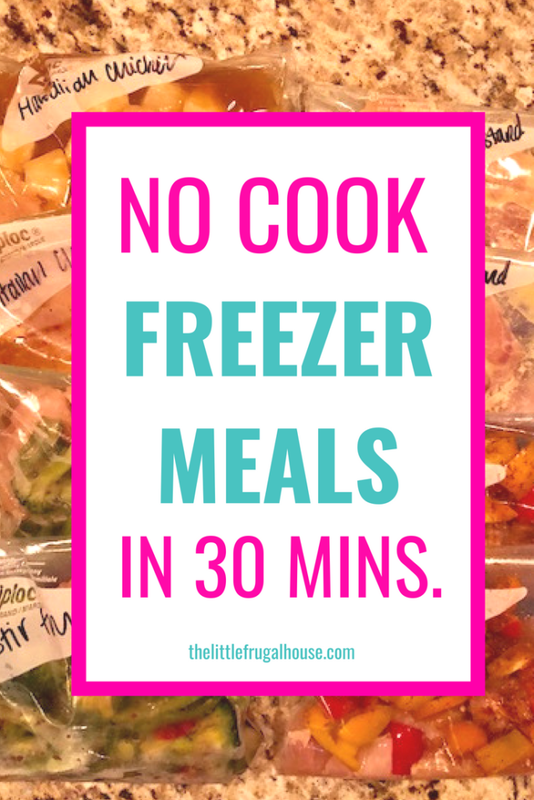 Place in freezer bag. 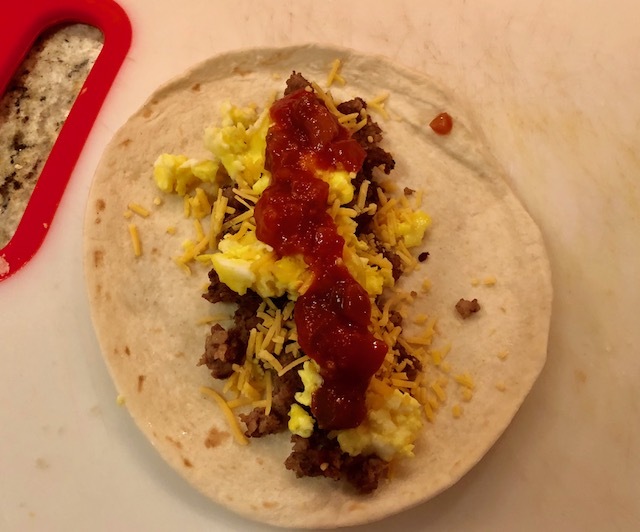 Assemble breakfast burritos by laying out 6 small tortillas, dividing your sausage crumbles onto the tortillas, dividing your scrambled eggs on top, sprinkling shredded cheese, and adding dollops of salsa, if you wish. Place in freezer bag. 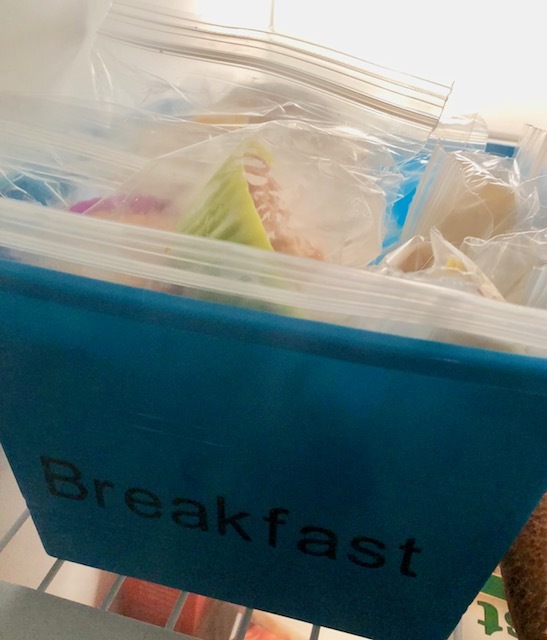 Place your breakfast freezer meals in a designated bin in your freezer so you can grab one and go. 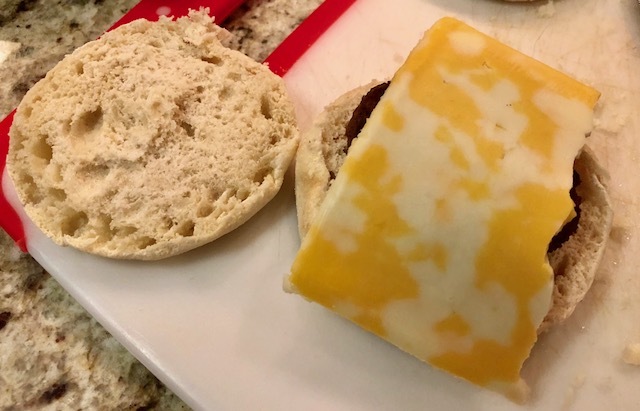 Thaw in the fridge overnight, and heat in microwave for 1 minute – 1.5 minutes. 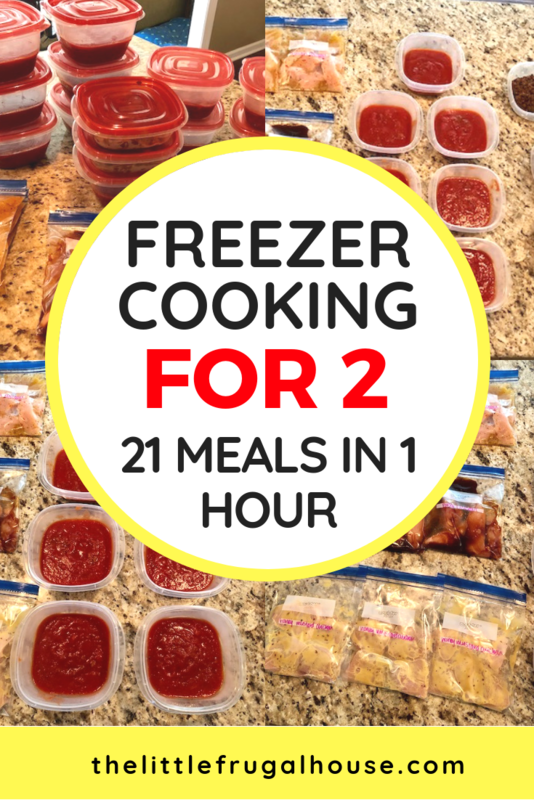 From frozen, heat in microwave for 2 – 3 minutes. So easy, right? 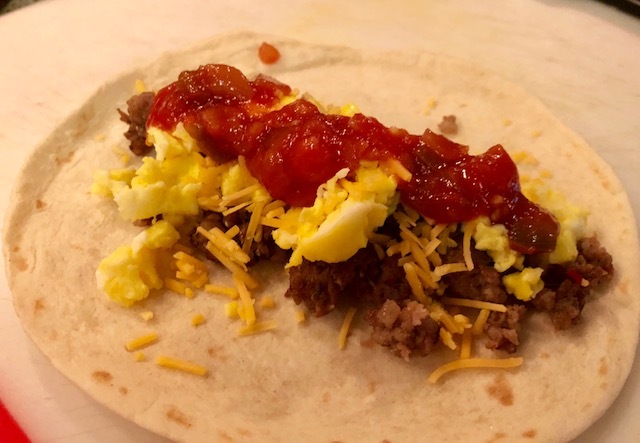 My favorite part of this freezer cooking session was being able to make everything as I was making our normal weekend breakfast. I didn’t have to carve out any extra time or do any extra dishes. Love that! 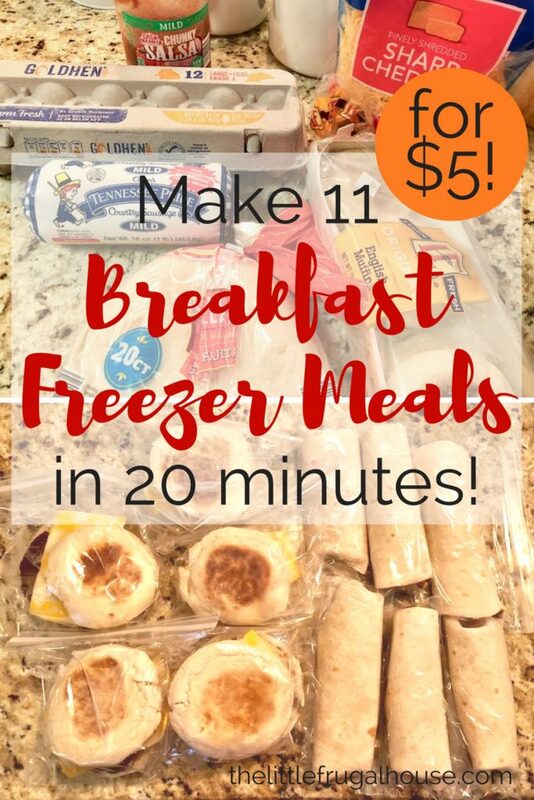 Making these breakfast freezer meals is a great frugal alternative to a warm fast food breakfast. 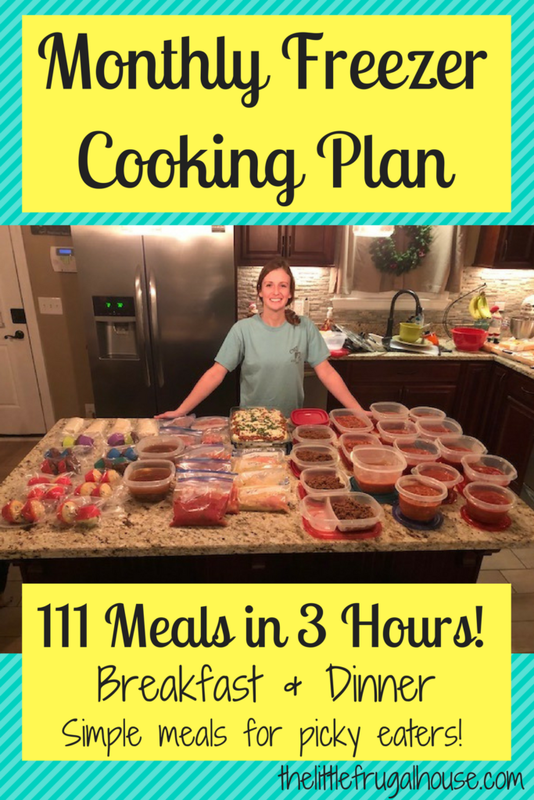 I made ALL 11 of these meals for about $5 (shopping at Aldi), which is $1 LESS than my ONE fast food breakfast meal. Crazy! 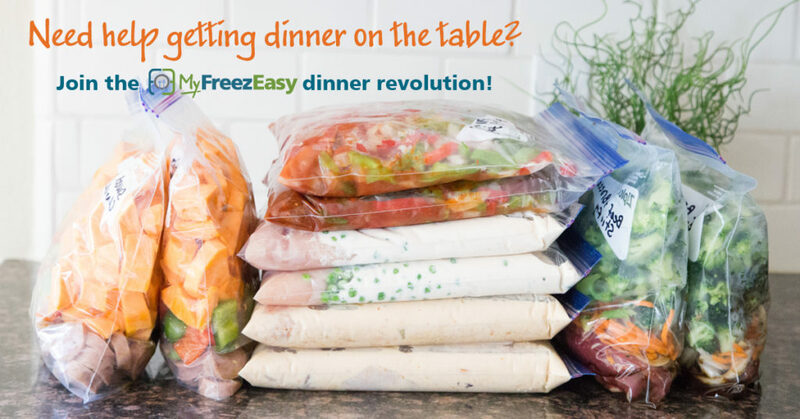 These meals are homemade, better for you, and cheaper! And you don’t have to wait in any drive thru line. Use biscuits instead of muffins. Add chopped bell peppers to your burritos. 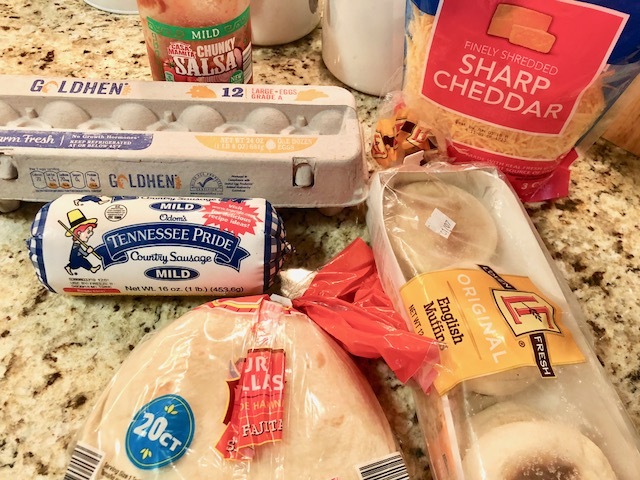 Make scrambled egg “crepes” and add to your breakfast sandwiches. Use chopped bacon or ground turkey. 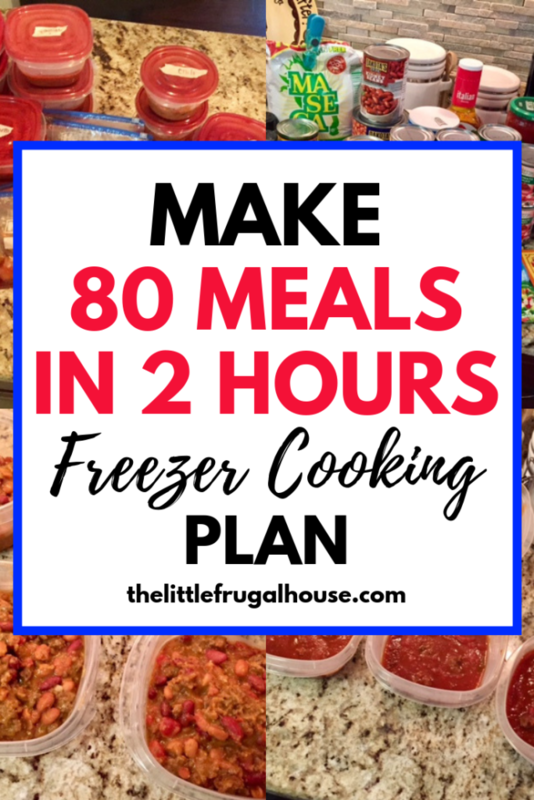 Whatever breakfast meals you make, you will love having meals in the freezer ready to grab and go. It makes my mornings so much better! Enjoy! And don’t get hangry!